Once the story had been told, I felt the need to try to help others in a similar situation. This book is primarily to help carers to hold on to some hope through the very bleak years. I’m hoping it will encourage them to stand up for their rights and insist on the very best possible care for the sufferer. Like the first book, I’m also hoping that sufferers obtain some respect, and carers far more support. Professionals working in this field will find this book a valuable resource, giving them a far better insight. So much of their training is theory-based, so perhaps this book will fill at least a little of the huge divide between theory and practice. Finally, perhaps it will go someway to educating the general public; in our experience, we are still living in the dark ages. Carers will not feel able to speak out until this horrendous situation is addressed and attitudes change. 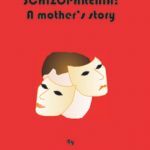 Review from ‘Mental Health Today’ – Georgina Wakefield has written a great follow-up book to Schizophrenia: A mothers story. 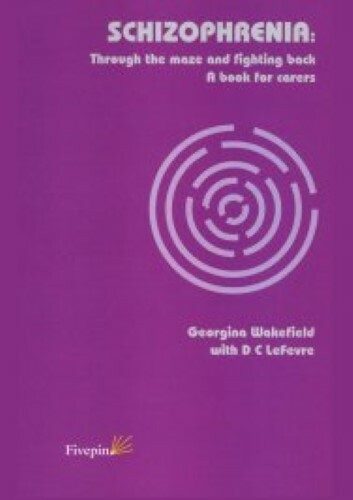 In this book, she focuses on the carer’s perspective, using an interesting mixture of poetry and her own and other carers’ experiences, thoughts of her son, who suffers from schizophrenia, and a succinct and informative contribution on the medical perspective by Dr LeFevre. While the poems may not appeal to everyone, they are simple, effective and very moving, especially the ones about listening to carers and acknowldging that they actually exist. Georgina touches on many topical issues, such as diagnosis, risk, confidentiality, advance directives, CPA, appropriate treatment involving not just medication but talking and art therapies, recovery, hope, community care, stigma, social exclusion, under funding and direct payments. She makes the point very strongly that a partnership is needed between ‘the professionals’ (mental health practitioners and social workers) and carers. Georgina Wakefield has produced a brilliant follow up to her first book Schizophrenia – a mother’s story. Like her first book it is interspersed with the most moving poetry, which at times will make you choke with tears. However this book has several very forceful messages she wishes to put across, and she also concentrates on services which are important for the carer. Incisive observationns are offered as to what is the very best and worst of the system, telling examples of what needs to be put right in our own “back yard”. From her own knowledgeable experience through dealing with her son’s illness and the impact it has had on her and the family she recognises just how much stigma can exacerbate from the experience of being mentally ill. The main theme of the book is that the way forward is to work in partnership. Carers should be seen as partners in care and part of the clinical team; professionals should get to know carers in order to improve the care provided. This partnership must extend to helping all carers to understand the condition by education and training, and empowing carers. Other topics in the book are covered with equal importance. The right medication is vital. It can make a big difference in dealing with a condition that can cause so much suffering. If you want a second opinion insist on one. Medication is of course only one small part of the equation. Much more is required, particularly theraputic help, occupational therapy, cognitive therapy, help with combating social isolation, help with managing oneself, help with housing, the list is endless. Georgina’s son Christian has recently been introduced to Psychotherapy at Basildon Hospital. Dr Dianne Lefevre who is his Consultant Psychiatrist in Psychotherapy says “with serious mental illness I believe there can be no single approach to what is a multi-system illness. We are attempting to set up carers groups where topics such as the benefits of taking Omega 3 fats are combined with working psychotherapeutically with “The Other Mind”. There is a whole chapter in the book written by Dianne Cambell Lefevre with particular reference to understanding how the mind works, and she believes that everyone functions using two minds – a healthy self and another mind that pulls one away from creative relationships. She also says that “working in two minds means that rather than seeing an individual as one person, functioning from one mind in one body, it is as if two people were functioning from one body. That is to say, there is a healthy self and a psychotic self which I refer to as the “other mind”, and both operate autononomously”. This is all very powerful and thought provoking stuff, and I think there is room here for a separate book to be written, and I very much hope that Dr Cambell Lefevre will consider this and perhaps use some case studies to demonstrate how it all works, and how it can benefit recovery. 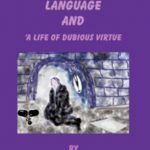 It is impossible to cover all the wealth of information Georgina gives in her book in this short review, but one final one that stands out concerns Direct Payments. It is Georgina’s view that used properly, direct payments will improve the lives of both service users and carers; Direct payments can be used to help with support for various options; living in your own home, or support you at work or college, personal care, cooking or cleaning, leisure activities, short breaks, or support that will enhance social inclusion. This is a wonderful helpful book and I recommend you to buy it immediately.